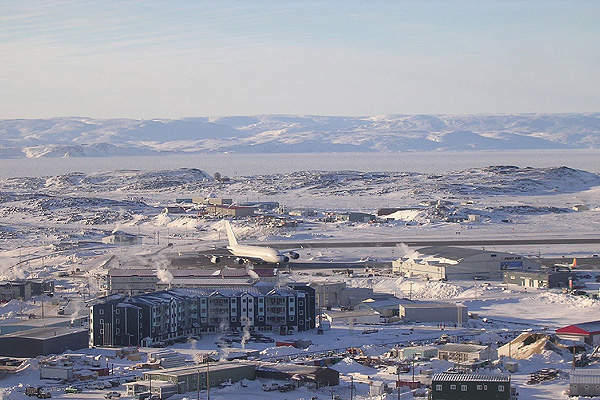 Iqaluit international airport has been witnessing consistent passenger growth since 2002. Image courtesy of Northern Pix. The international terminal building of Iqaluit Airport was expanded as a part of the IIAIP project. Image courtesy of US Mission Canada. The expansion project increases the apron area at the airport. Image courtesy of Sebastian Kasten. 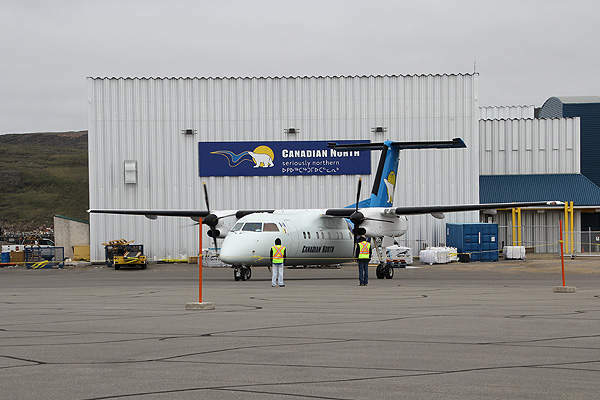 Iqaluit International Airport, located in the city of Nunavut in Canada, has been expanded and refurbished as a part of the airport’s $298.5m improvement project. Construction started in July 2014 and the project was completed in August 2017. The project created a greater number of jobs for the people in the Nunavat region. 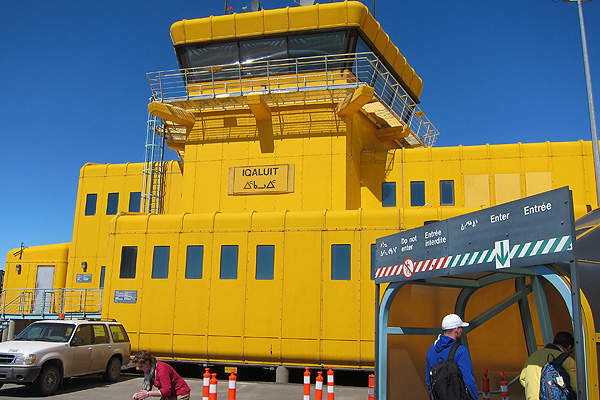 The airport is owned by the Government of Nunavut (GN) and operated by the Iqaluit International Airport Division Authority. Iqaluit Airport was opened in the 1940s. The traffic at the airport has been increasing at a rate of 5% per year since 2000. The airport improvement project was initiated to handle the increasing traffic and meet the increasing demands of the passengers. The project provides economic support and a better transportation network for passengers. The expanded airport can now handle more flights. The project included construction of a new Air Terminal Building (ATB) and a new Combined Services Building (CSB). ATB covers an area of 10,000m² and was constructed by widening the main apron, so that more planes can be parked at the apron. It features additional revolving luggage belts, new passenger screening areas, washrooms, a restaurant, a coffee shop and a souvenir shop. CSB houses fire-fighting vehicles and heavy equipments for runway maintenance. It covers an area of 4,500m². The airport has an 8,605ft-long and 2,623m-wide asphalt coated runway. The runway is repaved based on Runway End Safety Areas (RESA) measures from both end sides. A new taxiway is constructed to facilitate the increasing number of passengers. The taxiway Alpha will be reopened after some improvements. The project also includes improvement and upgrade of the garage and the baggage handling systems, and installation of lighting and electrical systems at the airport. The Government of Nunavut selected a consortium led by Arctic Infrastructure Partners to design, build, finance, operate and maintain the IIAIP project in July 2013. The consortium will operate the airport for 30 years under a contract that was signed in September 2013. The consortium includes InfraRed Capital Partners, Bouygues Building Canada, Colas Canada and Winnipeg Airports Authority. Bouygues Building and Colas jointly managed the design and build aspects for the project. Winnipeg will provide the airport services. The project model was audited by Operis. Partnerships British Columbia provided consulting services for the project as per an agreement signed in June 2011. The Government of Harper provided $77.3m for the project under a public-private partnership (P3) in September 2012. The Government of Nunavut contributed about $68.7m for construction while PPP Canada provided funding of $72.8m. The remaining amount was financed by Arctic Infrastructure Partners through debt and equity. Abbotsford International Airport is located four kilometres away from the city centre of Abbotsford in British Columbia, Canada.